The best luxury and all inclusive resorts USA. Check out the most outstanding resorts each chosen location. Most of these resorts are top options in their area and include everything you may expect in an American all inclusive resort. The great thing is they are quite diverse in their range of experiences. Some resorts are dedicated all inclusive resorts while others have both all inclusive and standard options. From sustainable living retreats, family camps and ranches, to the type of mega resorts you would more expect to find in the Caribbean. Enjoy! 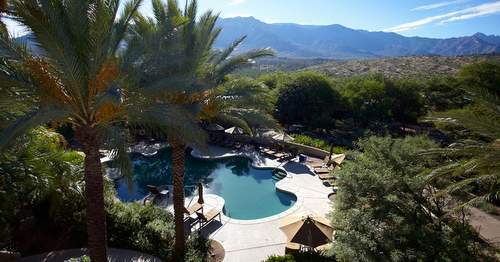 One of the most interesting all inclusive spa resorts on this list the Travaasa Austin encourages an active vacation. The list of included things to do on this well regarded property in the wooded hills of the Balcones Canyonlands Preserve is made up of guided adventures, culinary & cooking classes, cultural encounters, healing spa treatments, and fitness and wellness workshops. Luxury is evident in the views from large private balconies, pools, spa, and all the activities around. Located in Hidden Valley in the Hudsen Valley, New York, and with inclusions like a huge waterpark, horse riding and more this is a top choice for an all inclusive vacation resort in the United States. Even in the winter months there's a winter wonderland Fun Park, featuring skiing, ice skating, snow tubing, and sleigh rides will operate. Meals are big and bold Texas style. For breakfast and lunch enjoy huge big buffet meals while for dinner there is a rotating al-la-carte menu. Packages here can include breakfast, lunch and dinner for up to four each day, including alcoholic and nonalcoholic beverages. There are ghlf-day seasonal activities like guided hikes or a snowshoe excursion. There's unlimited use of hot springs, yoga studio, and screening room. Note: this resort made the Travelers Choice best all inclusive resorts in the world list recently. Open for the the last 70 years this 600 acre dude ranch / resort has been delivering quality all inclusive experiences for a long time. 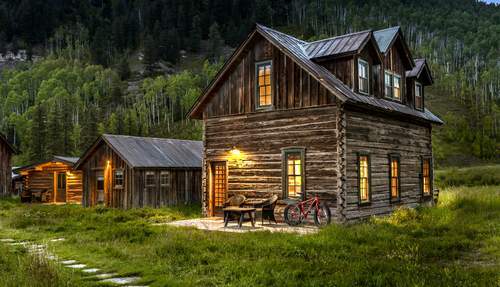 On a private mountain valley, this is a great opportunity for your family to create it's own western. Miraval Resort and Spa in Tuscan is a wellness and sustainable living retreat which has been well represented in many glossy magazines like Travel And Leisure. A must to check out. The historic Grand Hotel on Mackinac Island Michigan offers a four pearl dining experience and an all inclusive rate which includes a formal five course dinner, as well as a lavish breakfast and lunch. THere is more than enough to do around the hotel as well. Find out more on the Grand Hotel Michigan. On the island of Maui in a quiet peaceful location by waterfalls on Huna Bay you will find one of the United States best all inclusive resort. The Travaasa Hana offers chef prepared breakfast, lunch and dinners using a high percentage of local produce. The package also includes credits towards spa treatments and classes. There are not too many dedicated all inclusive resorts in Florida. There is the Club Med Sandpiper and a hand full of others but nothing like the amount you will find in the Caribbean or Mexico. There are also some amazing big resorts with packages with a lot of inclusions like the Amelia Island Plantation Hotel. 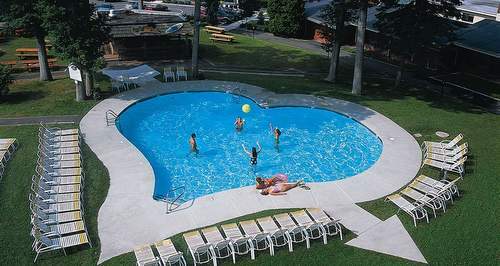 The Poconos is another location you can find all inclusive resorts in the United States. One of the best is Skytop Lodge. This is a couples-only all inclusive resort only in the sense that there is a lot included. This 3 star resort is on the north shore of a lake and 30 minutes from the airport offers some good all inclusive packages. There's a health club and spa, indoor tennis, ice-skating, racquetball, mini-golf, indoor pool, a marina with water equipment and nightly entertainment. This resort is all suites. Some have champagne glass tubs, heart shaped tubs or private pools. They are designed for fantasy and intimacy. There are mixed reviews on this resort. In general, if you embrace what it is, you'll have a good time. This resort in Vermont is promoted as The Tyler Place Family Resort is among the best all inclusive family resorts in the U.S. Locally famous for their, children's programs and diversity of activities on their 165 acres. If you visit TripAdvisor you can search by All Inclusive. of screen on your hotel search page. There aren't too many all inclusive resorts in the United States but you can use this search box on the right of screen to see if there's one in the area you'd like to visit. Simply Use the all inclusive search button left of screen after landing on your desired location. Most all inclusive resorts are found in the Caribbean. If you'd like to take a look at those, check out Caribbean all inclusive resorts. The Dominican Republic is the main location of good value (less expensive) all inclusive resorts. It's also a short flight from the USA. Preferred destination for business trip and leisure travelers alike looking for budget hotels in New York. Escape-to-Delaware.com provides visitors a look into the different areas of this beautiful state. Visitors can find the best places to eat, fish, go shopping, find real estate, have fun, romance, history, vacations, and much more. minute hotel deals, wherever you want to go, it’s all here. weekend or a cruise to Hawaii, you need not look any further! Learn how to plan, prepare for, and enjoy your next family vacation.